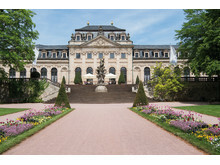 You can step back in time thanks to the Maritim Hotel Fulda, Germany. 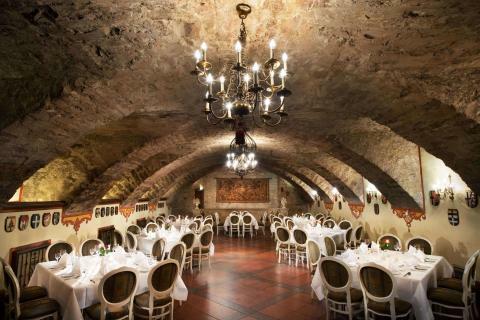 The “Wappensaal” package offers the perfect medieval murder-mystery dinner. Germany – country of gluwein, Leiserhozen and bratwurst. Think you know Germany? Think again. These new breaks at Maritim Hotels across Germany allows visitors to experience a different side to the country and get under the skin of their host city. A torch-lit procession, mysterious monks, a magical communal drink, Gregorian chants, flickering candles and a medieval bedecked table – you’ll feel as if you‘ve been whisked back to Fulda in the 12th century. 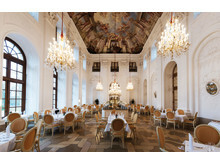 This historical city in central Germany developed around its Benedictine abbey and you can step back in time thanks to the Maritim Hotel am Schlossgarten Fulda. The “Wappensaal” package offers the perfect medieval murder-mystery dinner, during guests turn sleuth to discover the secret code and work out who murdered one of the monks. 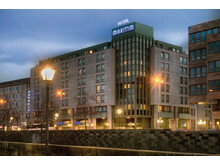 Price per person in a double room, 133 euros, and 164 euros in a single room. Dates: 10th to 11th February 2017, 3rd to 4th March 2017, 29th to 30th September 2017, 27th to 28th October 2017, 24th to 25th November 2017, 15th to 16th December 2017. Booking: +49 (0) 661 282-0. 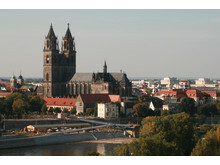 Those who want to walk in the steps of Martin Luther during the year of the reformation jubilee can‘t miss Magdeburg. You can learn more about Luther’s role in this historical city and the reformation in a two-hour city tour, part of a package offered by the Maritim Hotel Magdeburg. Free Internet via cable and wi-fi. Price: from 165 euros per person in a double room, single room from 205 euros. It can be booked for any time during 2017 apart from 23rd to 26th December 2017 and 30th December 2017 to 1st January 2018. Booking: +49 (0) 391 5949-0. An unforgettable weekend for children and parents is promised by the Maritim Hotel Nürnberg (Nuremberg) with the new package, ‘On a trip of discovery’. This package includes a visit to the “Tower of the Senses”- less of a museum, more of an experimental science centre where visitors can learn about human perceptions and scientific research. Through 27 hands-on exhibits across six floors, they can explore the world of sight, hearing, smell, touch and taste. At the neighbouring Black Light Factory, visitors can try their hand at mini golf…with a difference, and enter a 3D worlds of crazy obstacles and optical illusions. Free use of the swimming pool, free Internet via cable and wi-fi. Price per person in a double or single room from 194 euros. Up to two children can sleep in the parents‘ bedroom (free for children up to 12, and 52 euros for children aged 13 to 17). This offer can be booked all year around subject to availability, from Friday to Sunday, except when there‘s a trade fair or during the Christmas market. Booking: +49 (0) 911 2363-0.